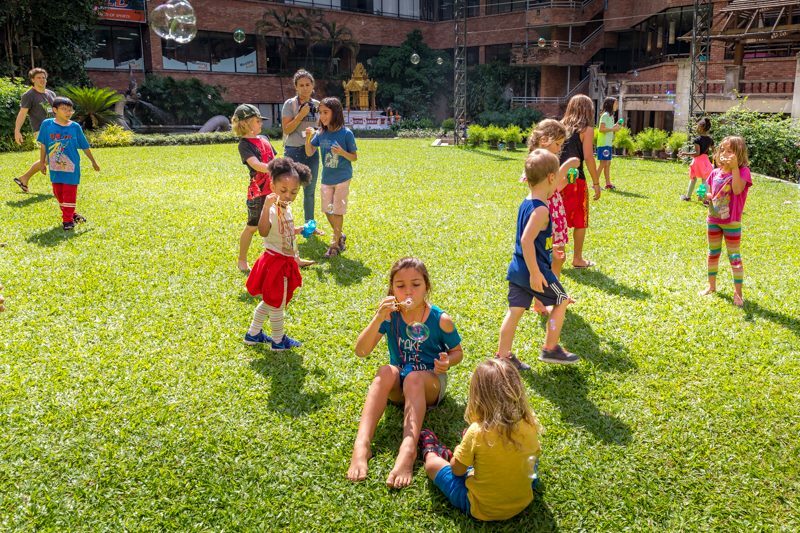 It’s hard to know where to begin when you’ve had a week that was as inspirational, emotional, and – dare I say – life-changing as our time at the Project World School Family Summit in Chiang Mai, Thailand. I have never spent a week (really, two and a half, once you add in the pre- and post-Summit activities and gatherings that happened) that was so filled with connection, joy, inspiration, and kindred spirits at every turn. I feel like I only began the conversation with so many people, and look forward to continuing it when we meet again! We were together with 150 other people, all world-schooling parents and their kids, all at different stages of their world-schooling journey: some still planning and dreaming (although I’m pretty sure that this Summit has kicked some of their planning into much higher gear! ), others literally 4 days into their new life, many a few months or years into their travels, and a few veterans who have 10-20 years of this traveling adventure under their belt.